Looking for an RV rental in Orlando, FL? 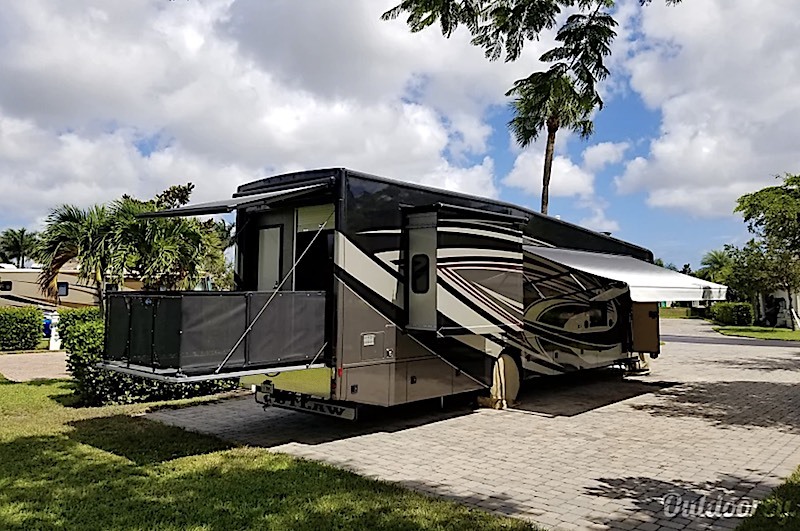 We found the 10 best RV rentals Orlando has to offer - everything from cheap to luxury, small off-road travel trailers to massive Class A's. Get ready to plan your Orlando road trip. Your rental awaits! 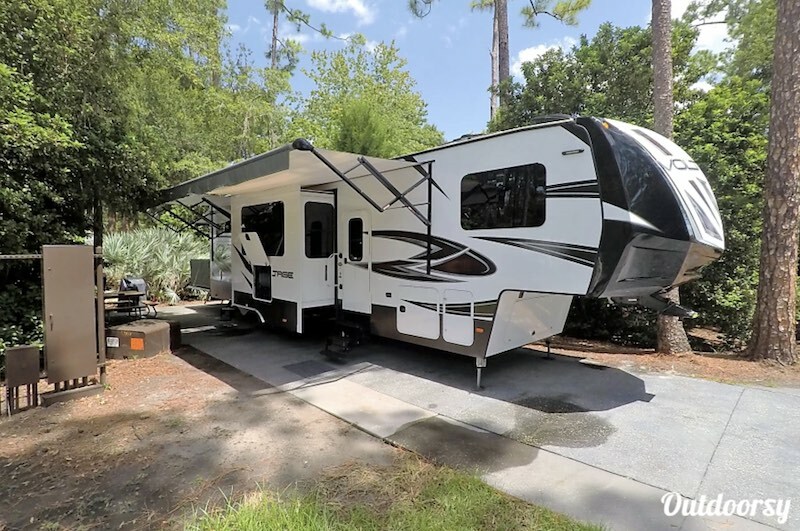 If the RVs below aren't available for the time you want to rent them, click here to compare motorhomes on Outdoorsy and see what else is available for you in Orlando! 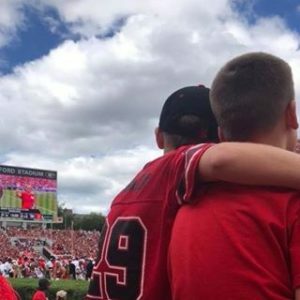 Traveling in a large group? This 2017 Keystone Cougar offers enough space for you and your nearest and dearest! 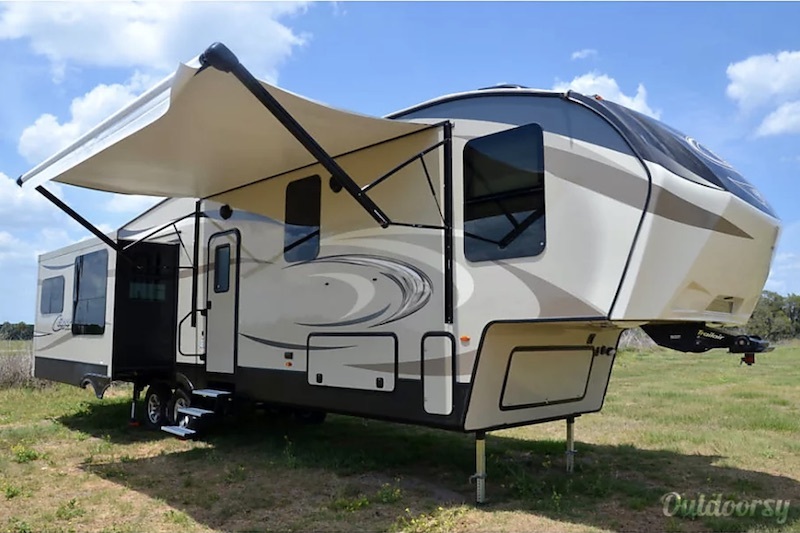 With four slides, this fifth wheel almost feels like a small house! Luxurious finishes inside and a large master suite. What more could a road tripper ask for? Nicer than most hotels we have stayed at. 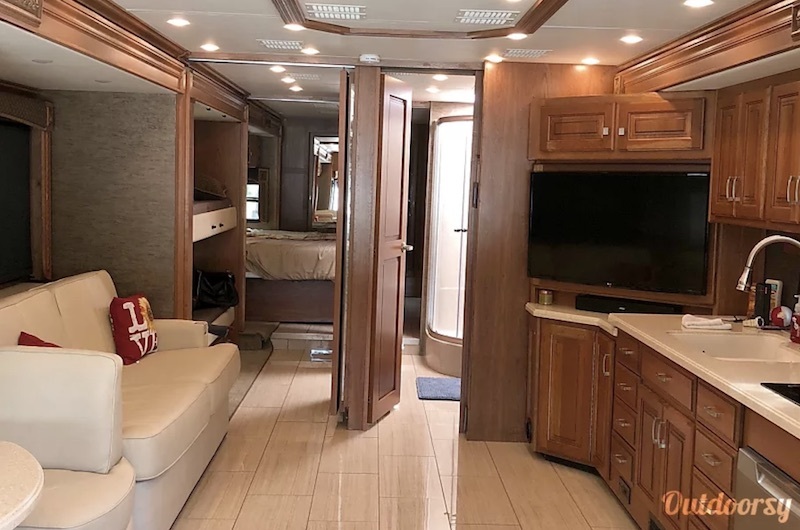 All the comforts of home are available in this 2008 Fleetwood Revolution LE. This motor home could be your vacation house on wheels! 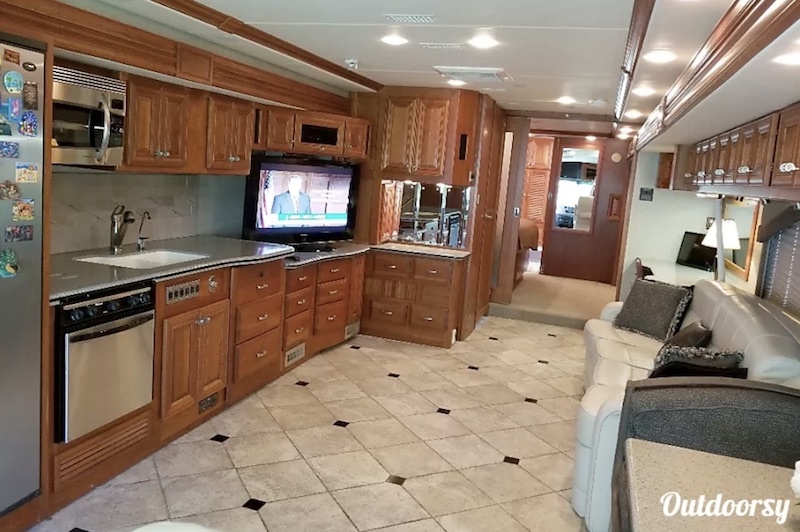 This luxury RV in Orlando is practically a one bedroom apartment on wheels! It has 1.5 bathrooms, a king sized sleep number bed, and four HDTVs. We loved this RV and can’t wait to rent it again!!! Tim and Marcy were very quick to answer any questions and their RV is beautiful!!! Having the 2 bathrooms was fantastic!!! 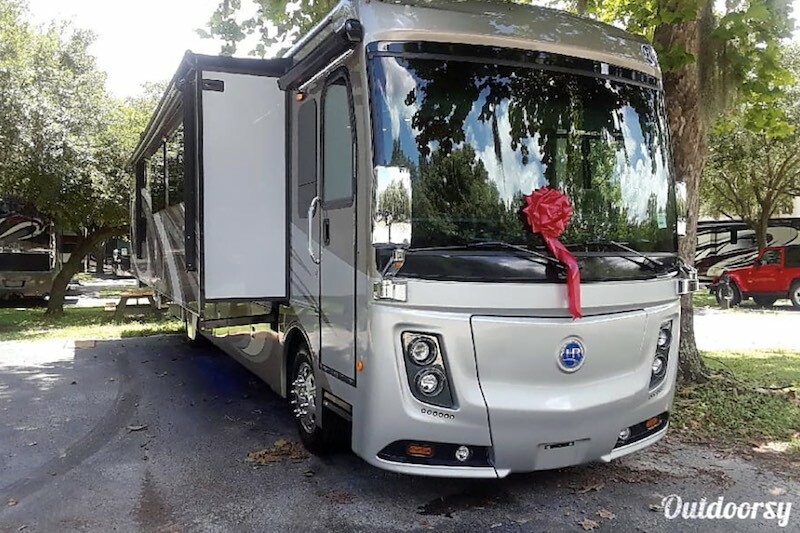 If you’re looking for a luxury RV this is it!!! 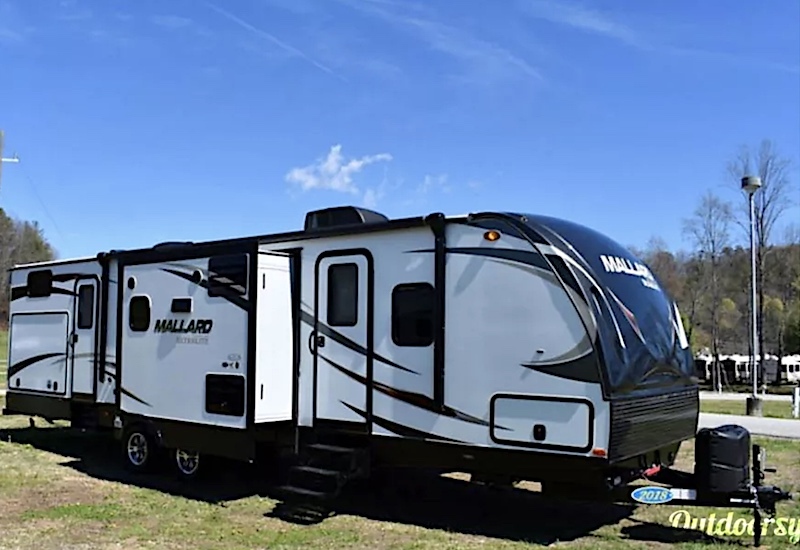 Next up we have ​this 2018 Mallard M33a Bunkhouse - luxury RV-ing at a budget price! This beautifully done travel trailer rental has two private bedrooms, smart HDTVs, and DirecTV satellite service. It also comes with a large kitchen and living area for family time! So cleans and such a nice guy!!! Will for sure use his campers in the future. I don't know about you, but my inner beach bum can't help but love this 2000 Coleman Destiny Sea Pine! This tent camper, also known as "Gypsy Paradise," is a huge upgrade from standard tent camping. It has plenty of room for everyone with a king bed, full bed, fold down couch and convertible dinette bed. 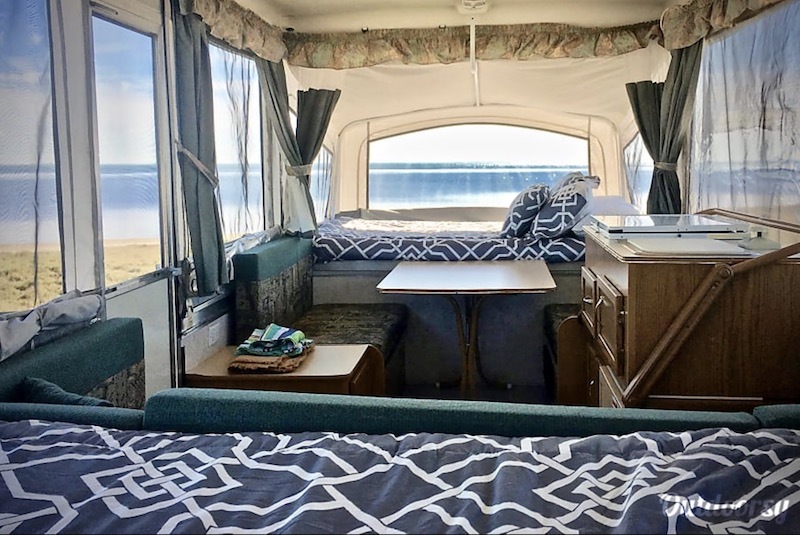 If you are thinking of camping out on a gorgeous Florida beach, do it in style in this RV! I have never drooled over an RV as much as I have over this 2017 Dutchmen Voltage. This fifth wheel has a luxurious, sleek interior with so many features. There are four beds, a garage, large kitchen, and an electric fireplace to name a few. The RV owners even offer to deliver, set up, and tear down the unit for you. It would be a wonder how anyone can pass it up! Everything was provided in the RV that we needed- we just needed to bring our food and clothes. We showed up and the RV was set up and ready to go. The RV is VERY spacious and so comfortable. The bed in the master is SO comfortable! The shower is large and spacious. We added the golf cart and would say it is a MUST for all rentals. They had a gas grill for us to use and comfortable camping chairs. They even had a special gift for my daughter who was celebrating her birthday-what a nice personal touch!! 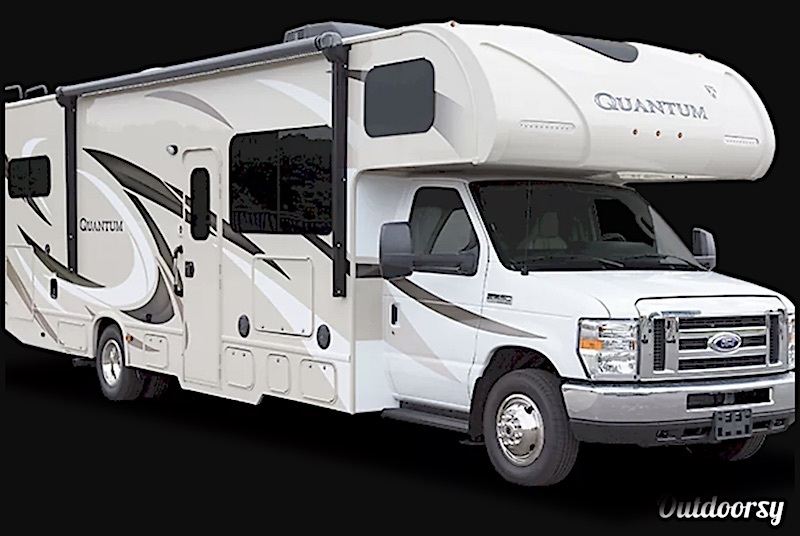 I can't recommend this RV enough- it is so comfortable and very clean. It felt like home. 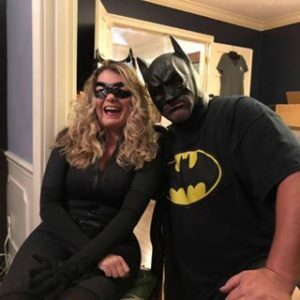 Marc and Ashley are so easy to work with. They were very responsive to all communication. 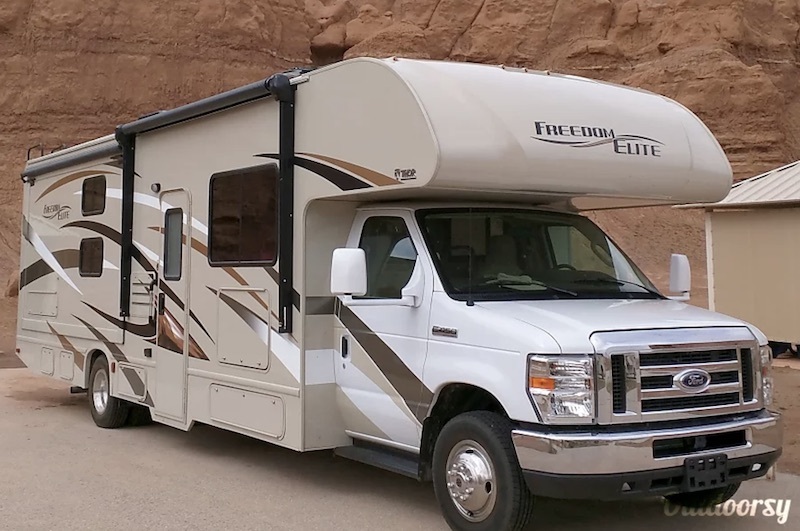 If you are looking for a memorable vacation- this RV is for you! The 2017 Holiday Rambler Endeavor boasts luxury to its fullest. The name alone is enough to awe someone! 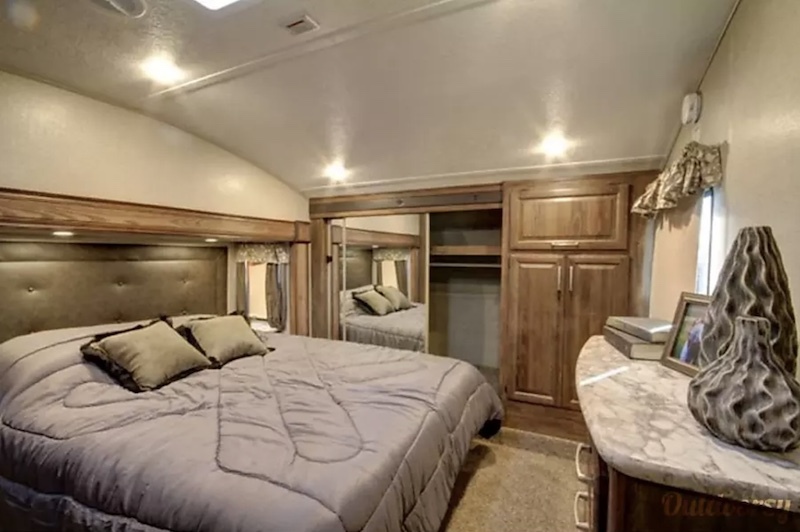 This pristine motor home sleeps has a king sized bed in the master suite and bunk beds with DVD players to keep the kiddos out of your hair. 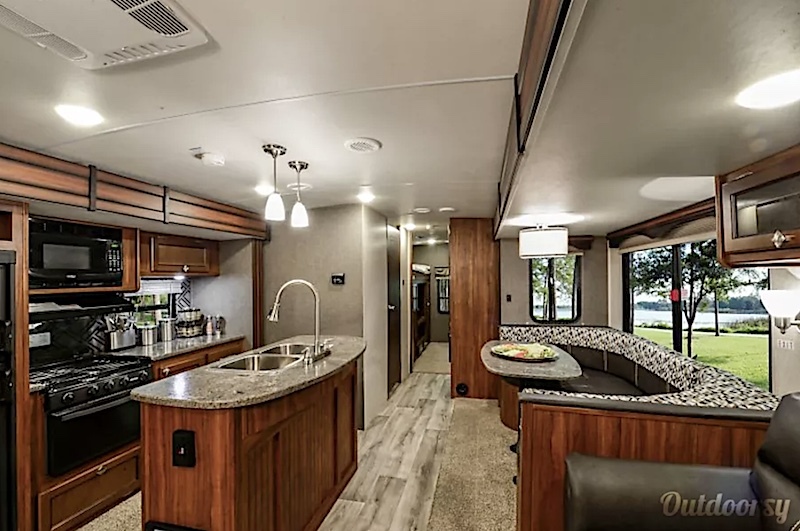 The full kitchen with residential fridge adds a nice touch of home as well, making it the perfect RV to explore in and near Orlando! Tony did an outstanding job going over the RV with us and explaining everything. When we had questions on the road Tony was always there to answer them from mobile or text message. We highly recommend Tony and his absolutely beautiful RV. 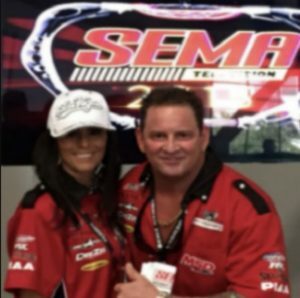 Meet the 2017 Thor Motor Coach Outlaw - the Daytona Tailgating Monster! This RV in Orlando has all the bells and whistles! Sit out on the back porch and relax with friends in the evening. Cook a delicious meal in the full size kitchen. Get a good night's rest in the king sized master bed. Road trip in comfort on the 2017 Thor Motor Coach Outlaw! If I could give this RV a rating above 5 Stars I would. The owners provided all the details you needed for this RV and it is completely immaculate. This would be my first choice if I had to do it all again without question. The owners provided good communication and were readily available if needed. If you're looking for an RV to rent. this is the one. Thanks for an awesome experience!! Compact, yet comfortable. See the best of Orlando in this high class 2016 Mercedes Benz Interstate Grand Tour! 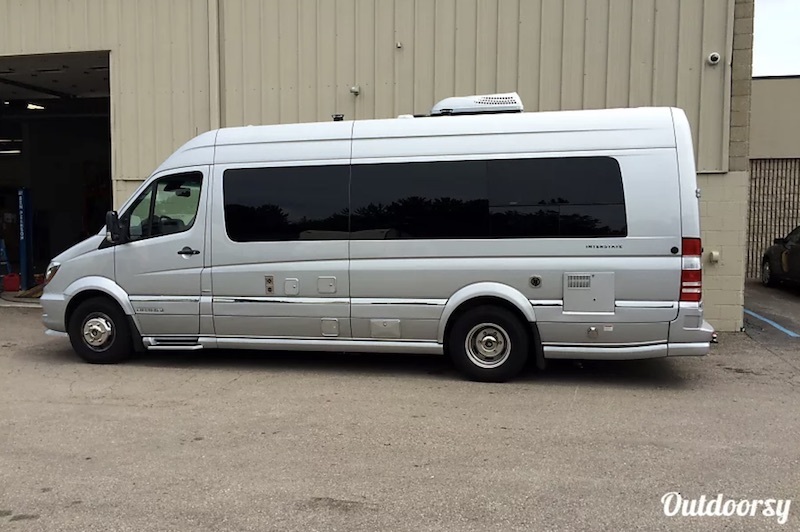 Out of all the camper van rentals, you can expect nothing less than luxury from Mercedes! 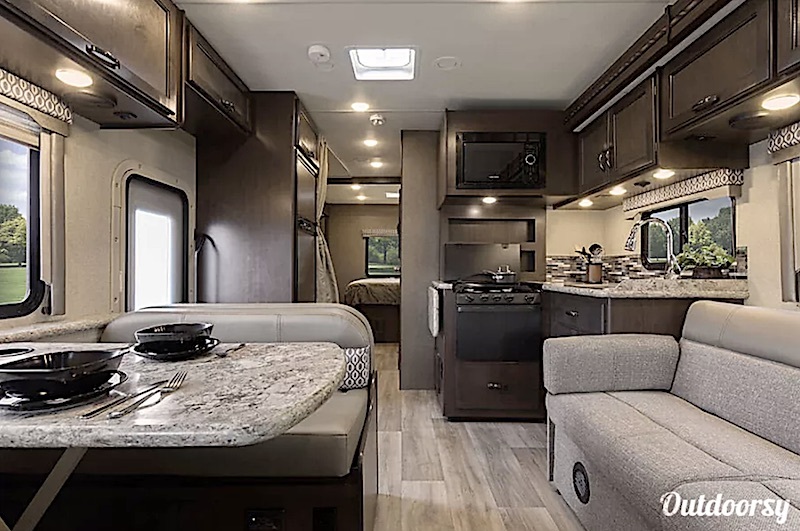 With a clean, sleek interior, it is the perfect choice for a couple to get away and have a little adventure with its compact kitchen and comfortable sleeping area! 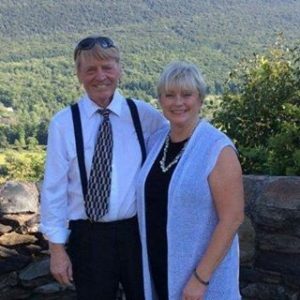 Great owners - great RV - great trip! 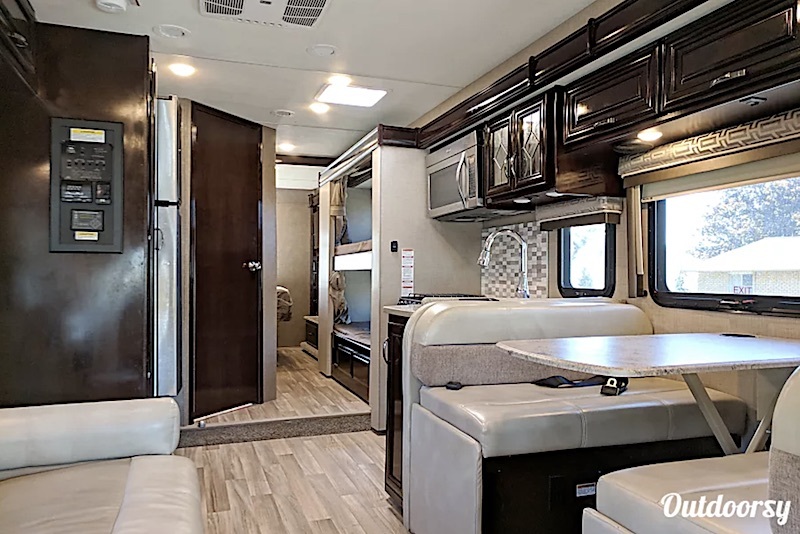 If you think the outside looks good, wait until you get a look at the inside of this 2018 Thor Motor Coach Freedom Elite! There's no better way to rent an RV. 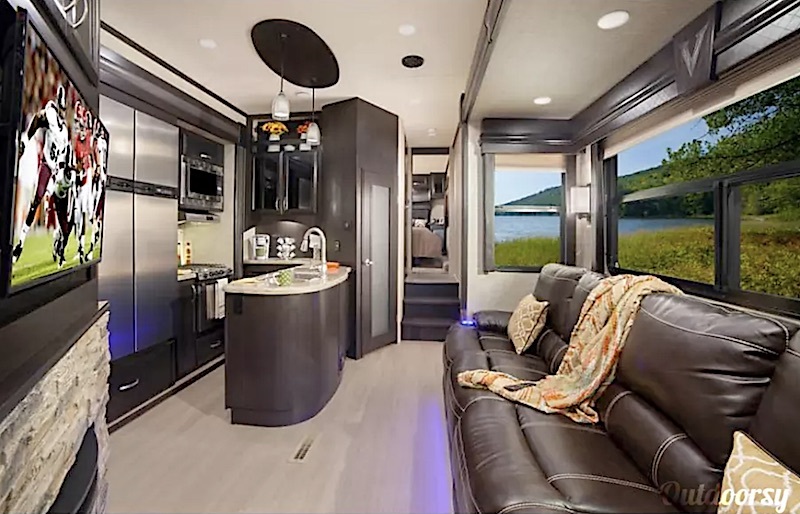 The interior of this RV rental is so well done, that you are sure to forget that you aren't in a hotel suite! It has a beautiful, open living area with tons of natural light. The bunkhouse is perfect for kids or guests and the master bedroom offers a comfy queen size bed. 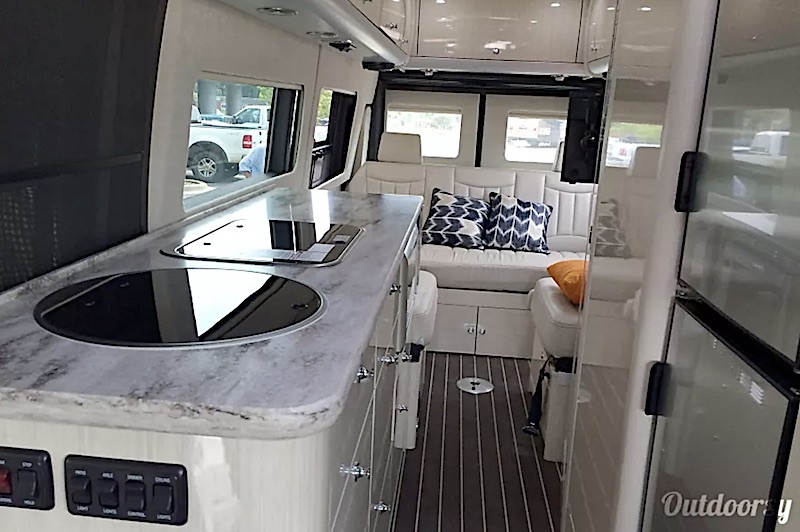 An added bonus to renting this luxurious RV is that the owners add many small details that you wouldn't expect! 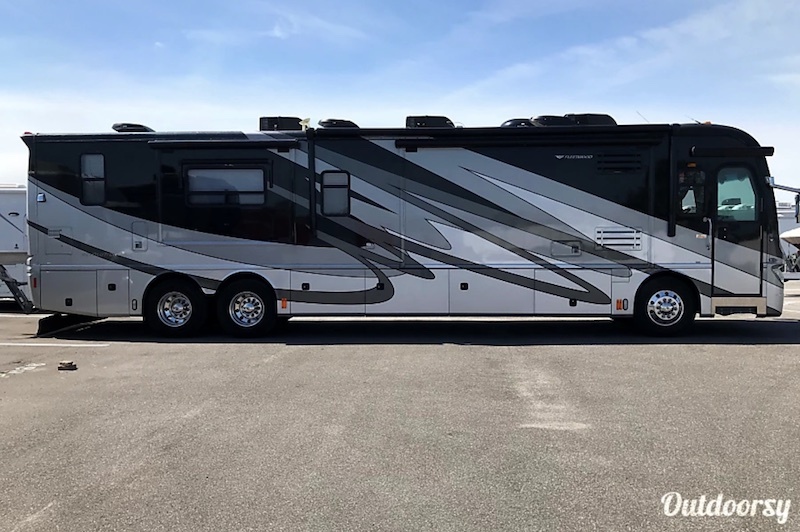 Grab a group of friends and make some memories in this 2017 Thor Motor Coach Quantum LF31! This Orlando RV rental has quite a few perks for an ultimate road trip! 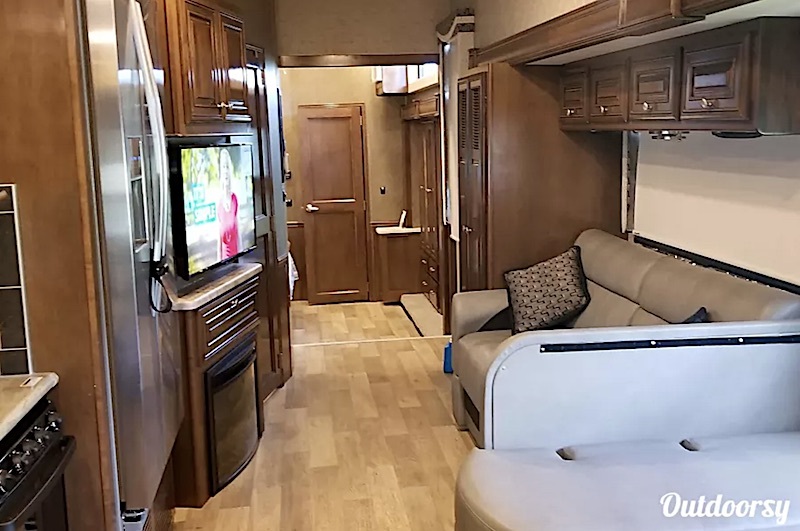 With five HDTVs on board, leather seating, bathroom skylight, and a rear queen bed, you'll wonder why you didn't think of renting this RV sooner. Tyler was amazing and very easy to work with going above and beyond to make our trip easy. Would recommend Tyler and his RV to everyone. If you are looking for quality in the RV and the owner, this is the guy to rent from. 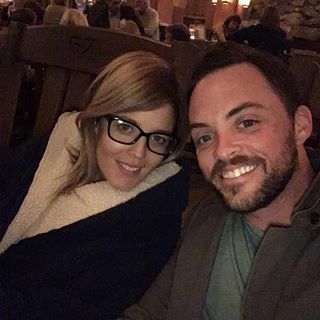 Thank you Tyler for making our trip fantastic. 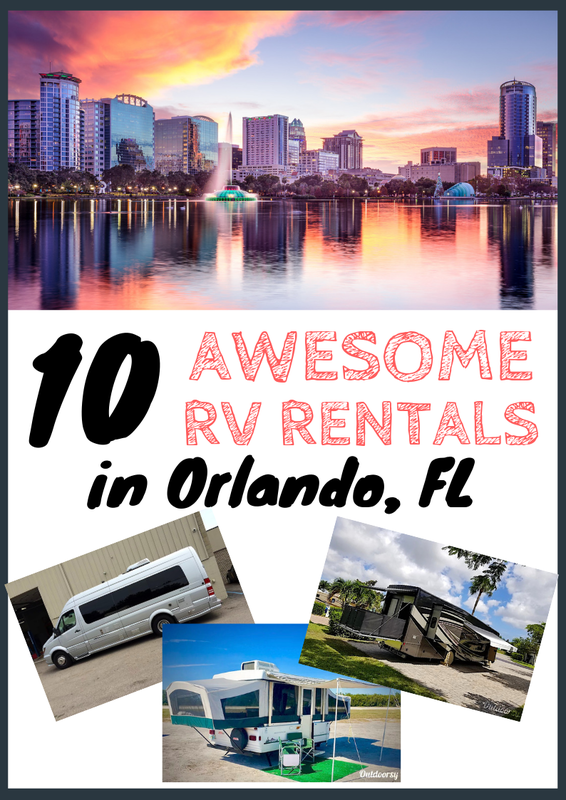 That brings us to the end of our list of the best RV and Camper Van rentals Orlando has to offer! 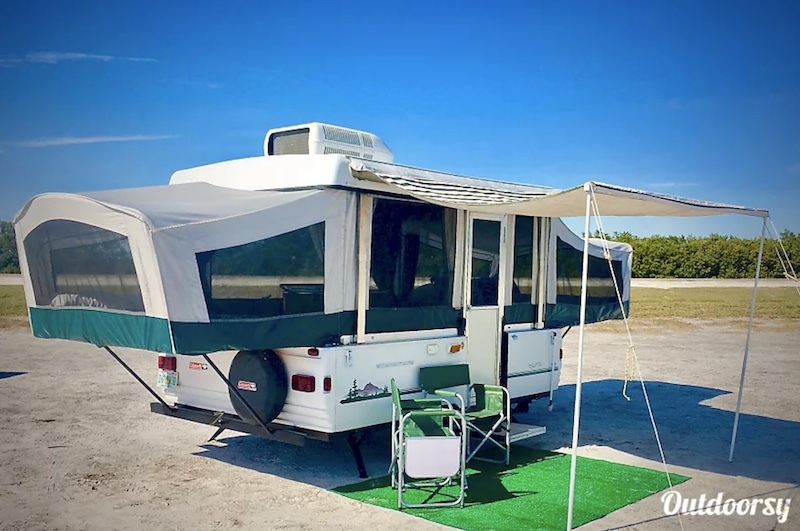 Remember, if you didn't like any of these we listed (or they weren't available for you), you can always check out all the Orlando RV rentals available on Outdoorsy. Looking for more? Check out the more Orlando attractions on Trip Advisor. Planning to rent an RV Orlando? Check out Fort Wilderness Resort or these RV campgrounds. And that's all we have for you! Want to share your Orlando camper van or RV rental or some cool things to do in Florida? Or have questions? Leave a comment below!